Dominique Perrot, former chef for Francois Mitterrand, is one of many who prefers to use the best EVOOs raw, especially in salads. 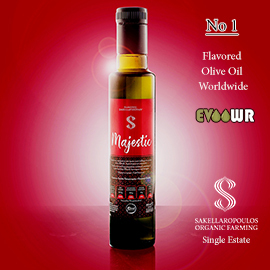 In fact, he says “when we make salad with excellent olive oil, we don’t add vinegar or lemon.” Excellent olive oils can add their own distinctive flavor to salads and other dishes, including boiled eggs and grilled vegetables. George Goutis prefers his olive oil on organic vegetables, “Greek salad with goat cheese, spinach pie, and fresh fish. For desert, Greek olive oil cookies, which are so crunchy, lightly sweet, and perfect with a cup of coffee or tea. The recipe comes from my grandmother” (Goutis Estate). Perhaps this one (based on a different grandmother’s recipe) is similar. Ellie Tragakes seems to agree: “Every morning I begin the day with a slice of toasted whole wheat bread drenched in ACAIA olive oil, topped with cheese, tomatoes and oregano. This is delicious beyond words, not to mention how nutritious it is. 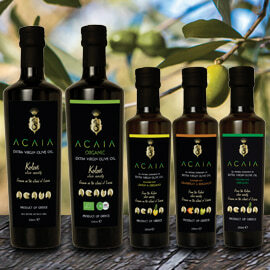 Beyond that, I pour ACAIA olive oil over anything edible, with the sole exception of ice cream and cakes. 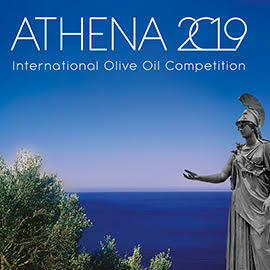 Though I should add that one can bake superb cakes using EVOO rather than butter” (Hellenic Agricultural Enterprises). One certainly can bake cakes with olive oil—try it. Vasiliki Maraveli even embraces the combination of olive oil and ice cream. 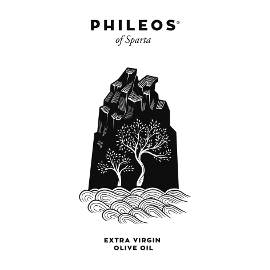 “Olive oil is a treasure, and it is unique, in whatever way you combine it. Which other fat can be used from ice cream to cocktail? 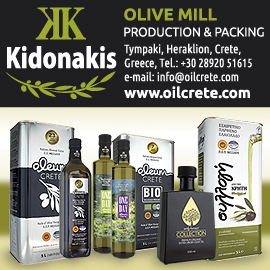 We prefer it raw on toasted bread with oregano and on boiled potatoes with fresh onion and coarse salt” (ALSEA-Sigounas Olive Mill). Those interested in olive oil’s wonderful healthiness, as George Mathiopoulos points out, may “choose to take the recommended 25 ml for the health benefit with a spoon daily,” or they can use it as part of their Mediterranean diet. 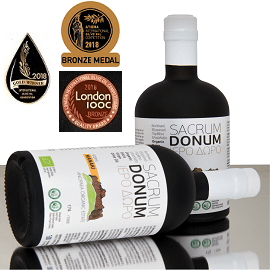 “We find that our olive oil pairs best with earthy green flavors such as lentils, beans, and other legumes” (Greek Olive Estate). Such dishes are so popular in Greece that they have their own category: “ladera,” or “oily,” since the pulses, green beans, peas, cauliflower, spinach and rice, meats, and other foods are swimming in the olive oil that makes them tasty and adds important nutrients during cooking as well as finishing. For more recipes with olive oil, see Greek Liquid Gold.